Categories: Our Product, Rizal. 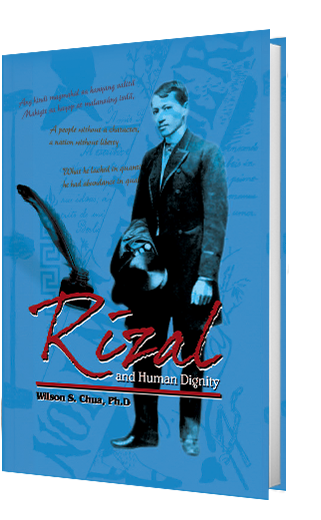 Tags: College Books, Jose Rizal, Rizal, Wilson S. Chua Ph.D. 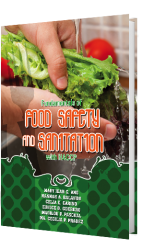 Laboratory Manual for Principles of Food Safety and Sanitation with HACCP is a set of exercises to facilitate and enhance learning of the fundamental concepts of food safety, sanitation and hygiene and HACCP standards. 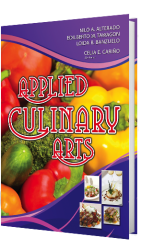 This laboratory manual is specifically designed for students in the food service and hospitality management courses, allowing them to apply and correlate many of the food safety concepts with various activities. Organization of this manual is of two parts: Part I contains exercises for food safety and sanitation such as procedures for the identification of biological, chemical and physical hazards of food and Part II contains exercises applying the principles of Hazard Analysis and Critical Control Points (HACCP). Each exercise comes with a Title – an overview of the content; Principles – bases of the underlying concepts and procedures; Objectives — competencies that every student should gain after each exercise; Materials — list of instruments, equipment supplies and reagents that will be used for each exercise; and Assessment — questions to evaluate learning. The sequence of exercises is arranged in a way that will demonstrate the progression of the student from learning and mastering simple to complex procedures of food safety and sanitation with HACCP. Considering these parameters, the purpose of this laboratory manual is to guide students through a process of development of experimentation, interpretation of data, and discovery in a manner that will complement the lecture and make the study of food safety and sanitation with HACCP both exciting and challenging. There are many literatures concerning Logic that present the basics of correct thinking such as simple apprehension, understanding terms and concepts, judgments and propositions, the kinds of inference, and the kinds of fallacies. However, only a few books provide an overview of philosophy vis-à-vis logic, and the relevance of Logic to other disciplines and in our day-to-day living. 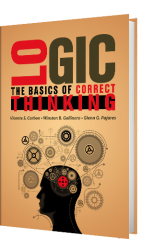 This book provides the readers with an overview of philosophy in relation to Logic and the relevance of Logic to other disciplines such as the rigorous and the social sciences, and most importantly in our day-to-day living. One of the unique features of this book is that in discussing the significance of Logic, the different schools of thought such as Platonic, Materialism, Aristotelian and Oriental are given overviews. The overviews are supplemented with Euler diagrams and a combination of Euler and Venn diagrams so that the readers will have vivid pictures of the schools of thought through symbols. Another unique feature of this book is that it presents and clarifies in Module I the basic laws and principles governing correct thinking. This is very important because at the outset of the study of correct thinking, the readers are already aware of and will be guided by the foundational norms of classical logic. The basic laws and principles governing correct thinking like the basic law on the truth of the antecedent and its consequent and the basic principles like the principle of identity and the principle of contradiction, among others, are further clarified in Module Ill concerning judgments and propositions. Moreover, these laws and principles are applied intensively in Module V concerning immediate inference and in Module VI which deals with mediate inference. Euler diagrams and Venn diagrams are also presented to supplement and clarify further the illustrative examples of the inferences. But the most unique feature of this book is its constructive critique of the errors of some popular authors of Logic book by presenting and rectifying the errors such as the erroneous use of Venn diagrams which is dealt with in Module V, the erroneous classification of some fallacies into fallacies not of language or non-linguistic fallacies which is dealt with in Module VII. Through the unique features of this book with emphasis to the last one, the authors fervently hope that the readers may realize also some insights like to simplify complex concepts and principles is far different from a simplistic discussion, having a broad and open mind is far better than having a myopic and close mind, and to detect an error is good but to constructively rectify it is better.